Your daughter is a sensitive. She has the gift to see the dead. 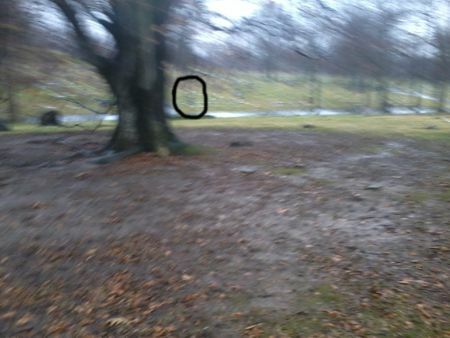 The orbs in the picture are ghosts. If you take a picture of her in a dark room with darker colored walls, you will see more orbs! Please explain to her she is a very lucky young lady.